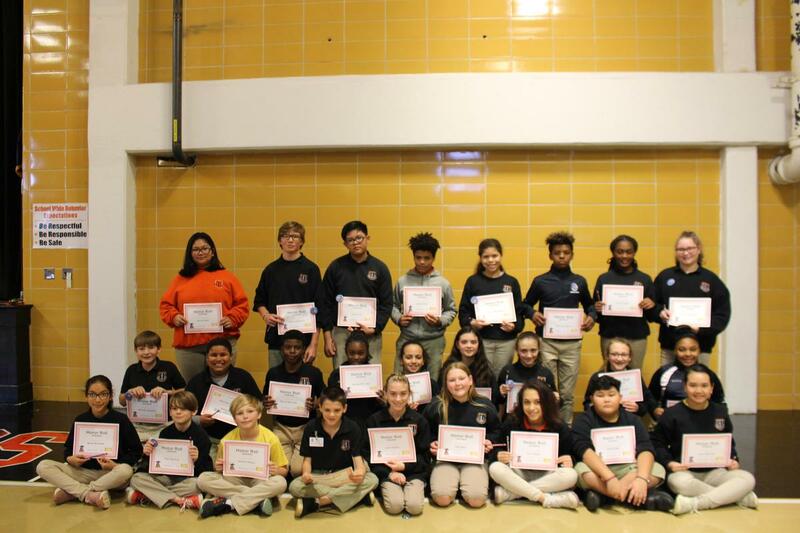 On Friday, January 18, 2019. 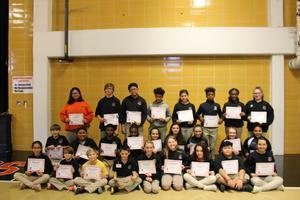 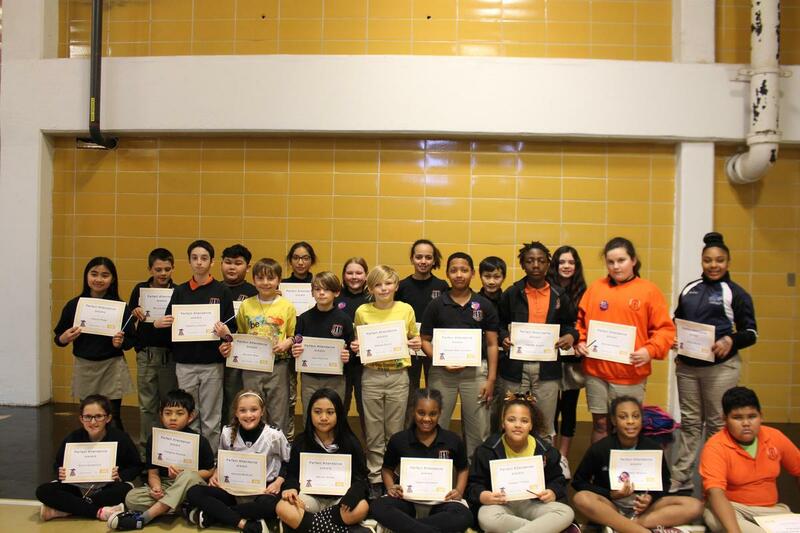 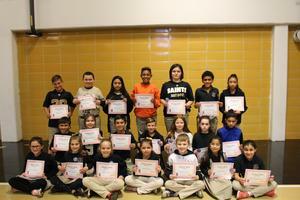 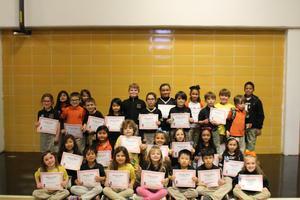 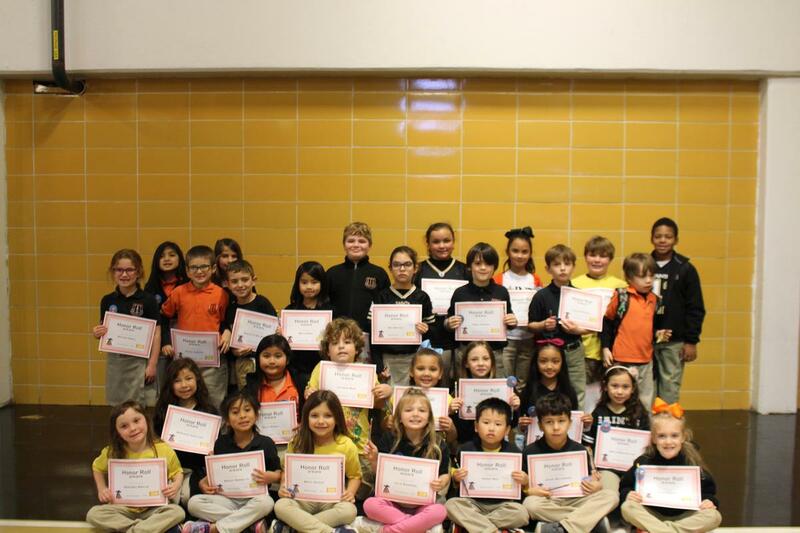 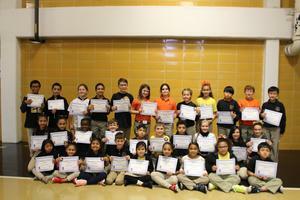 Boothville-Venice Elementary School held its second none weeks honor roll and perfect attendance ceremony. Parents and students filled the gym to celebrate over 180 participants. 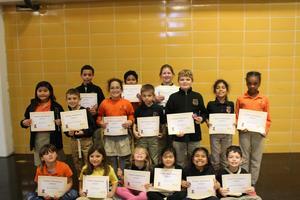 The BVES PTO provided certificates, buttons, pencils and refreshments for the ceremony. 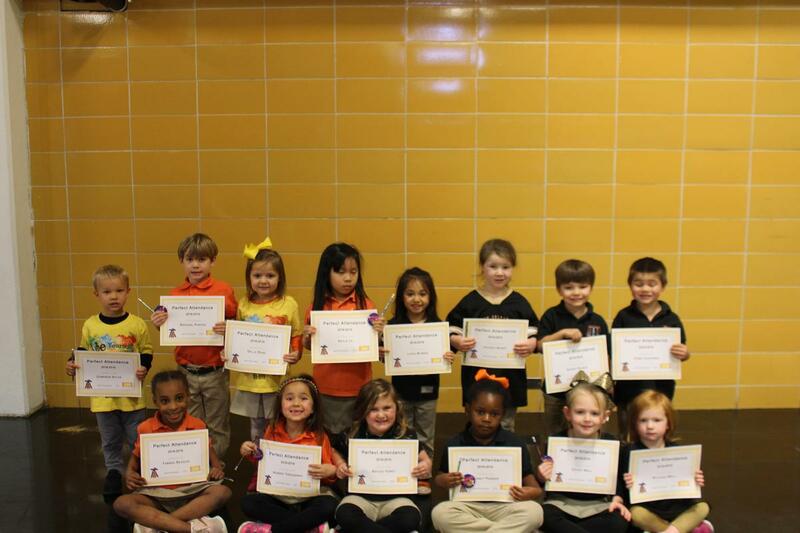 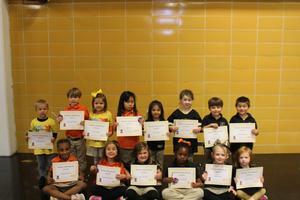 Headstart: Dara Sreiy, Camerson Sylve, Ryleigh Wall; Pre K: Joleigh Buras, Lydia Burris, Dane Cheramie, Asher Daigle, Kayla Le; Kindergarten: Baylee Foret, Ivaney Parker, Raphael Porter, Tamara Reddick, Della Reno, Aubree Treadaway, Chloe Wall; 1st Grade: Adley Daigle, Nathaly Diaz, Kristopher Kentwright, Jenesis Reddick, Julia Scarabin, Chanda Vong, Peyton Wilhelm; 2nd Grade: Bree Jakubielski, Kelly Khath; 3rd Grade: Gavin Ballay, Kohlston Bourgeois, Jozlyn Buras, Christian In, Jaiden Petkovich, Iszee Pierre, Maria Salomom-Ortiz, Gage Scarabin; 4th Grade – Olivia Cognevich, Janari Edgerson, Vinkimson Khoeum, Addison McGuire, Vandon Ny, Ariyiah Phorn, Journey Reddick, Yasmine Turner; 5th Grade: Zachary Bartholomew, Breanna Buras, Emmarri Burrle, Gabrielle Dugar, Jessica Pham, George Reno; 6th Grade: Rayna Brown, Daegan Daigle, Danielle Holloway, Dillon Khath, Railyn Marshall, William Neeley, Troy Peoples, Maria Salomon, Aydin Vong, Jada Wall. 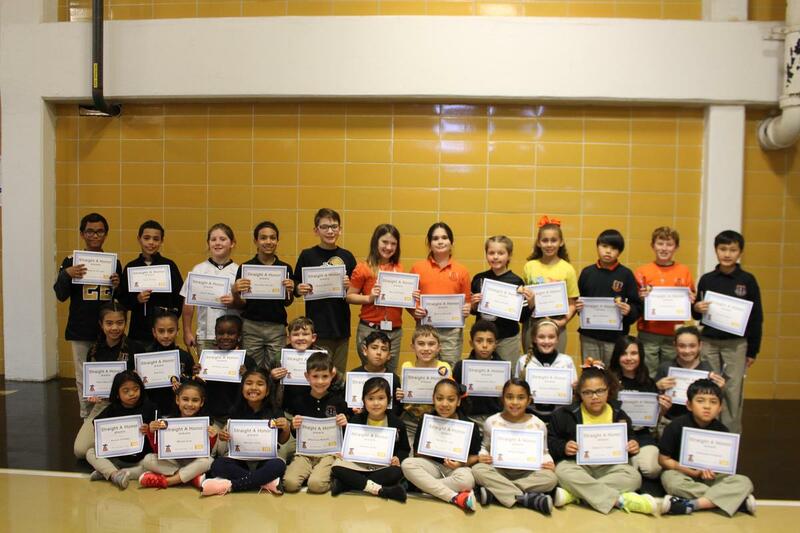 1st Grade: Destiney Anglin, Traleah Billiot, Brennean Cheramine, Alison Chirino, Adley Daigle, Megan Diaz, Nathaly Diaz, Danni Fisher, Ashley Gonzales, Braxton Marino, Kenny Ngoy, Katie Riley, Julia Scarabin, Javari Williamson, Chanda Vong; 2nd Grade: Brennan Blakney, McKenzie DeViller, Cherell Encalade, Brylee Hertz, Bree Jakubielski, Genesis Johns, Kelly Khath, Jackson Mina, Anastasia Moreau, Kayleana Ngoy, Amelia Nguyen-Ivey, Dalton Peoples, Shylen Prout, Jalina Prum, Malis Seng, Rayna St. Ann, Abigayle Turner, James Vernon. Mya Whiteley; 3rd Grade: Gavin Ballay, Kohlston Bourgeois, Jozlyn Buras, Jaiden Creppel, Presley DeMoll, Zaid Diaz, Matilda Dillard, Landen Fruge’, Isaiah Hammond, Jaxon Marino, Iszee Pierre, Lexi Vong; 4th Grade: Bella Blakney, Olivia Cognevich, Kim Diaz, Mylee Guidry, Vinkimson Khoeum, Kolie Johnson, Carter Louviere, Mia Matthews, Addison McGuire, Somaleia Oum, Makenzie Parker, Sherlyn Perez-Melgar, Ariyaih Phorn, Sharonski Prout, Terrance Raphile, Roslyn Rickard, Emmie Serpas, Christopher Stephenson; 5th Grade: Gavin Armstrong, Madison Armstrong, Cadon Barrois, Josh Barthelemy, Luke Bourgeois, Lainey Chartier, Draevin Collins, Clementine Dillard, Annie Hotard, Randal Juneau, Michael Lord, Madison McGaha, Mason McGuire Kaylana Ngoy, Jaydon Williams; 6th Grade: Rayna Brown, Destinee Chauppette, Davis Chroeng, Daegan Daigle, Cassidy Dauzet, Jordan Dinet, Lexie Fruge’, Logan Hawley, Emma Hotard, Danielle Holloway, Madison Jones, Dillon Khath, Thuong Le, Kayline Man, Railyn Marshall, Cason Meaux, William Neeley, Linda Nguyen, Troy Peoples, Alissa Perez, Callie Pierce, Cali Ragas, Savannah Riley, Jose Sales, Malia Salomon, Michael Sanders, Joshua Scarabin, Daejawn Smith, Ngoc-Bang Tran, Iania Trufant, Katelynn Turlich, Aydin Vong, Jada Wall, Andre Williams, Khilan Williams, Kierani Williams, Javielle Williamson.